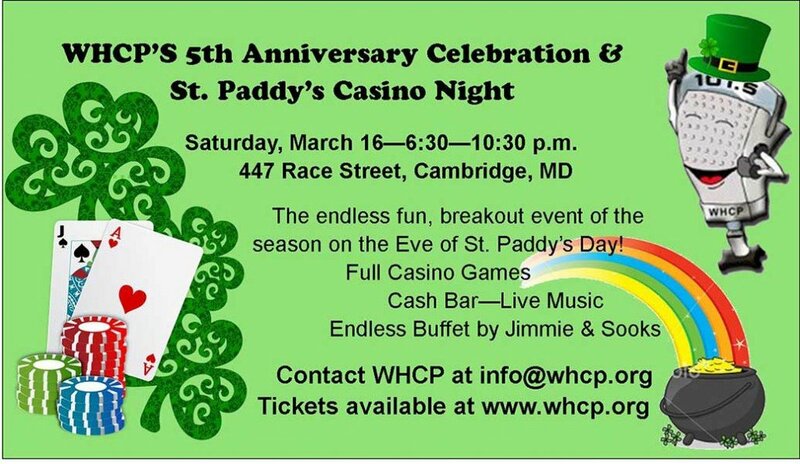 Community Radio WHCP is having a St. Paddy’s Casino Party on the Eve of St. Patrick’s Day, March 16 from 6:30 to 10:30pm. Full casino, food, live music, green drinks, fun, and prizes. The event supports “Listen Local” radio station 101.5 FM. Members $55; non-members $60. At the door $70. Each ticket includes $10,000 in casino money. Buy tickets at whcp.org.